Amelie Kelly sponsors a young boy named Pema in his studies at the Sunderijal Gompa near Kathmandu. 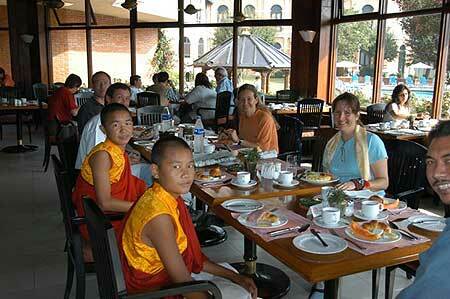 She met him and his friend Namgyal today for breakfast. 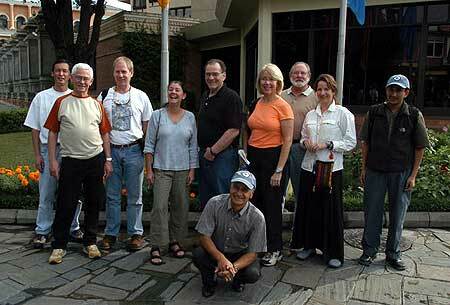 This is the BAI fall 2004 Everest Base Camp team as they are leaving for their city tour with Krishna. On the 27th Barbara arrived in Kathmandu on the Thai flight and was met by Shital at the airport. 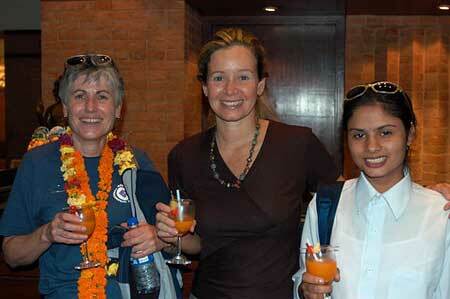 This is Barbara, Leila, and Shital with welcome drinks at the Yak & Yeti.